Show how much you care by giving your pet a bed that might be more comfortable than your own. The majestic pet Aubergine villa collection pet bed is the perfect combination of style, function and comfort. 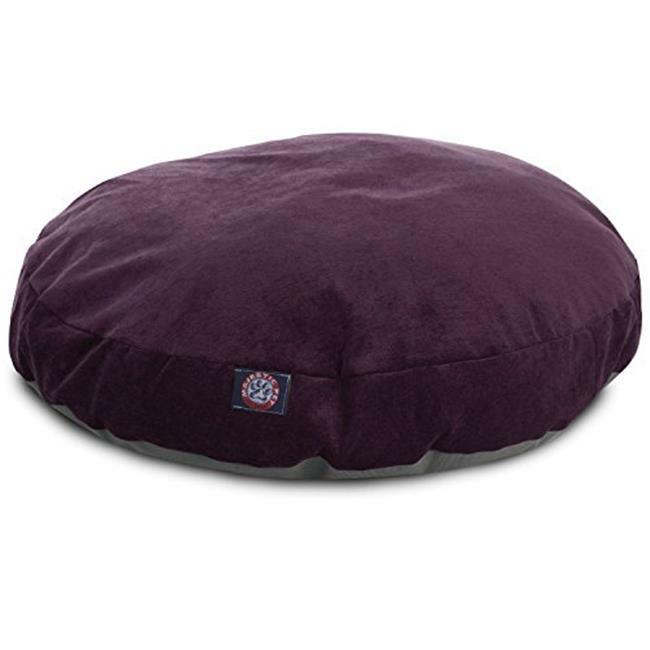 It features a removable zippered slipcover that is woven from 100% polyester micro velvet and the base of the bed is made of heavy duty waterproof 300/600 denier fabric. Each bed is filled with super plush fiberfill that provides ample amounts of comfort. To wash: spot clean the slipcover with a mild detergent and hang dry. We started producing dog collars and leashes and have since expanded their product line to include a variety of pet beds, cat trees, crates, gates and more. Our team includes some of the most talented product developers, graphic designers and continuous development of modern and innovative products has garnered them a reputation of quality and excellence within the industry. Our mission is simple, it is to create quality products, that provide great value.